The development scene is heating up in Geelong with a quartet of commercial proposals vying to secure a handful of key tenants currently seeking to lock away their long term homes. If realised the projects would add close to 50,000sqm of floor space to the buoyant Geelong commercial sector, underpinned by WorkSafe Victoria and the National Disability Insurance Agency flagging their intentions to establish their respective headquarters in the city. Fender Katsalidis' current 12-storey angular proposal located on Myers Street. Holding in excess of 10,000sqm of premium office space, the blue tower replaced an initial Tetris-like design for the site. Techne Development have planning approval for a honeycomb-like office building fronting Malop Street. The Woods Bagot creation is valued at $120 million and would carry 17,269sqm within the 5 Star NABERS-designed complex. Barwon Water are due to commence the redevelopment of their existing Ryrie Street building shortly. According to the Geelong Advertiser the $25 million project will see all office-based staff consolidated in a single location. Last is Quintessential Equity's approved 1-7 Malop Street commercial proposal. The 12-storey, $90m commercial building would hold 13,500 sqm of space upon completion. The distinctive dome design reflects existing great library reading rooms such as at the State Library of Victoria. The concept takes a sphere and deliberately ‘erodes’ sections to blur the boundary between Johnstone Park and the building. The design is intended to meet the highest standards of innovation, functionality, amenity and construction quality. The building will serve as a symbol for Geelong at national and even international level. A pointedly contemporary design is seen as the best response to the existing heritage buildings and landscaping in the precinct. One of the goals of the project is for the new Geelong Library and Heritage Centre to serve as a catalyst for further development and increased activity in central Geelong. For sheer size Epworth Geelong cannot be matched with three tower cranes erected over the sprawling complex which is valued at $277 million. Seen above, the project is located next to Deakin University and will deliver a raft of services including 262 overnight inpatient beds, an Emergency department and 11 operating theatres. Completion date is set for mid 2016. The Epworth project follows the recent completion of a $128 million expansion to University Hospital Geelong. Prime amongst remaining porposals is the potential redevelopment of an international convention and exhibition centre on the Geelong waterfront, with an end value in the hundreds of millions. 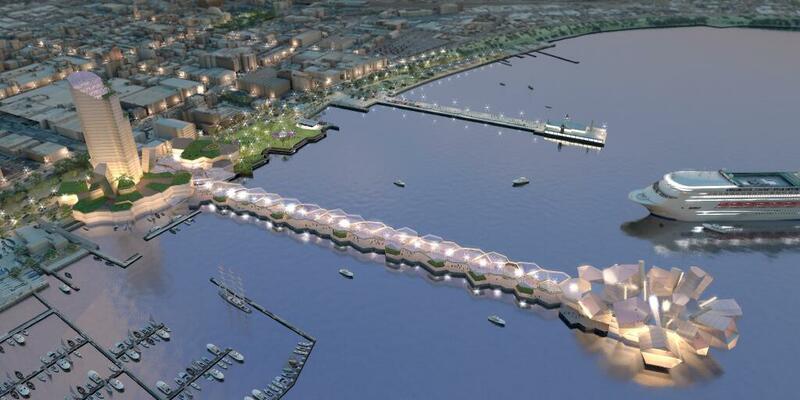 Seen above is ARM's concept render for a renewed Yarra Street Pier, hotel and Convention Centre which would certainly bring a new dynamic to Geelong. 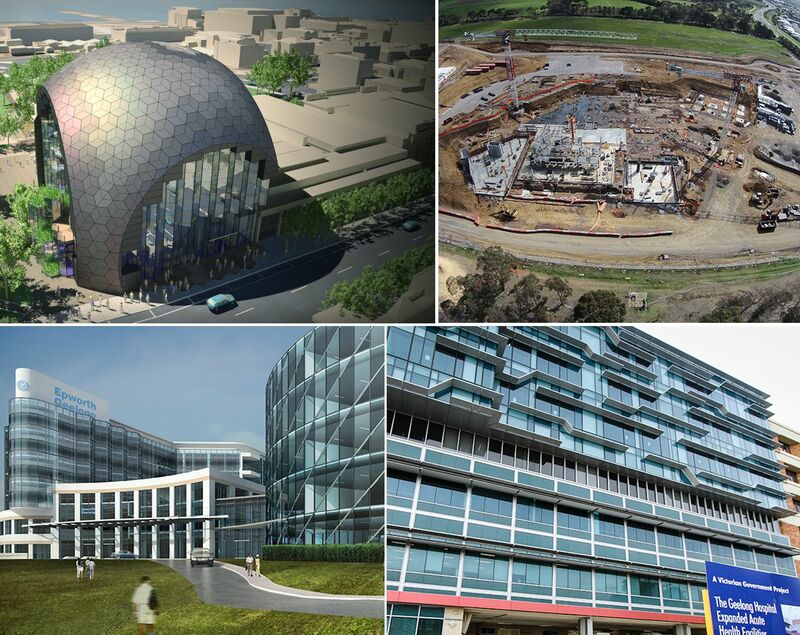 To see what other projects are contributing to Geelong's major construction and redevelopment boom, visit the Enterprise Geelong website for further details. better overall standard of design than Melbourne. hope they all get built! ^^ Yes and no to your first comment. Given its only a few designs, its far easier to make that assessment based on the provided renders, but as a whole, across the Melbourne Metro area there are so many designs of a high standard that it all just blends into each other. Its a struggle trying to keep up. The one I most like is the Library. It is a great design, and an excellent addition to the state's architectural landscape. 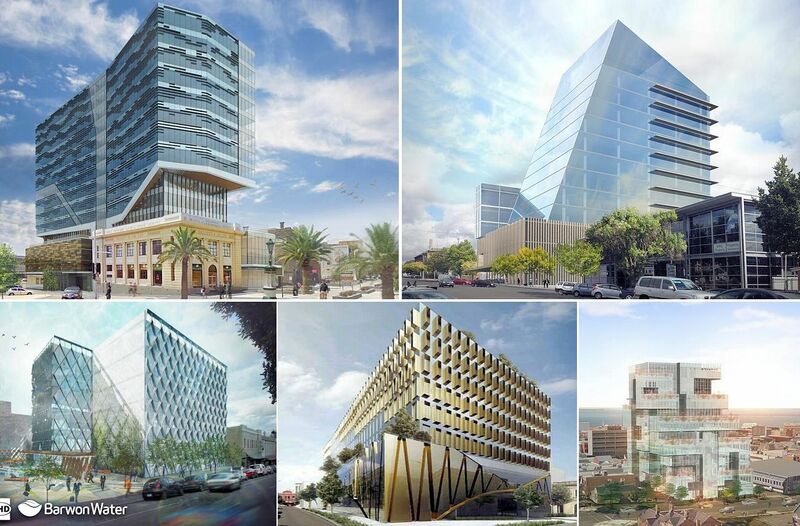 Geelong needs a lift and hopefully all of these proposals become reality. I am not confident the NIMBYism is going to be any less in Geelong than Melbourne - if anything you can add "I don't want the rural feel changing..." to any other NIMBY argument they might have used. Also to the website owners...isn't the website called "Urban MELBOURNE". Last time I looked, there was a band of rural land about 15-20km wide that effectively and conclusively delineates the two cities. I expected to see something about Dandenong when I clicked on the link. O dear, geelong has leapt straight into facading of historic buildings ! There is a structure plan for geelong that encourages higher development (ie no height limits at all) in the industrial triangle south of the CBD, past the wool museum - while there's room for development in the CBD too, I would prefer to see new stuff go there rather than destroy and dominate historic streetscapes ! I would agree with Rohan here. Geelong, like many other Australian cities, clearly has little idea of the treasure at its heart. Take away the outstanding heritage qualities of the CBD and you have little to distinguish the place from any other second rate regional city. On the other hand, if they were enhanced with high quality, lower rise infill development, with higher buildings in the industrial area Rohan mentions, Geelong could be quite an exciting place. And to John Proctor's comment - which of these developments do you believe to be of outstanding architectural / design quality? I'm not seeing it, myself. from the information provided all are more interesting to me than the generally bland boxes completed for new commercial towers in Melbourne (generally Docklands for Commercial now). and even though they aren't resi (and we are only seeing one angle) unlike Melbourne I don't see a blank concrete wall amongst them. I don't know what is on any of the sites today and I don't know the treatment of the one 'heritage' building that appears to be facaded (do you???) so I'm going off face value of the 5 images above. Facadism, as a "treatment" for a heritage building in need of sensitive adaptation is like saying a lobotomy is a good treatment for a headache. Have you seen any plans of the building to even know it's oure facadism is my point? And even if it pure facadism the original point probably still stands that the quality is better than melbourne where facadism and demolition are rife as you point out regularly in comments on articles and the forum. At least the facade is maintained in full with some semblance of it being a building in its own right thanks to the minimalist lower facade of the new addition before the stark blue comes back in at the top of the building. Compared to say the little collins frontage of that new Westpac building. To be clear I'm not saying this is the best heritage treatment I've ever seen I said 'better overall standard than melbourne'. Btw is that building in a heritage overlay or state heritage listed? We are talking with no facts here, for all I know it's a pre-fab concrete faux heritage building from the 90's. I doubt it is but just pointing out that all I e seen (and I bet same for you bilby) is 1 picture. No context report, no cross sections, no floor plans.